The average home in the U.S. spends $2,200 on energy each year. That’s $183/month. Rather than spending this money on energy purchases, the smart approach is to invest it in greater energy efficiency. If you’re building a new home, it’s possible to reduce your energy purchases to zero with the buying power gained from that same $183. Here’s how it works. If you have a 30-year mortgage at about 4.2%, you can cover the additional payments on an increase in your loan of about $37,500 for energy saving features for your home. That’s enough to turn most home designs into zero energy homes, before incentives. Federal and state tax credits along with utility incentives will increase your savings even further. The buying power of energy savings will often cover the entire cost of zero energy home features when those monthly payments are rolled into your mortgage. Despite the fact that few people dispute that energy improvements pay off over time, it’s often difficult to justify the initial cost. Lenders can play an important role by facilitating financing of energy features through mortgages for both new and existing homes. Since this is not yet common practice, consumers need to take the lead by demonstrating to lenders how the monthly energy savings will fully cover the amount added to the mortgage by the energy saving features. Most home buyers are familiar with the way that lenders decide how much money you can afford to spend on a home. They divide the monthly payments for the home by your monthly income. That debt-to-income ratio needs to be between 28 and 32%, although it varies by lender and loan product. There are two critical things missing from this approach. First, occupants of energy efficient homes have more discretionary income than those living in conventional homes, because they have lower bills with less variation over the seasons. This is why they are less likely to default on mortgages. The debt-to-income ratio can be raised for these borrowers through programs such as Energy Efficient Mortgages. Second, the cost formula needs updating. Currently, it looks like this: Principal + Interest + Taxes + Insurance = PITI. Unfortunately, the cost calculation leaves out a major factor: energy. Energy bills arrive every month, just like all the others. Energy costs often exceed homeowners insurance and sometimes property taxes. Energy should be added to the formula so that it looks like this: PITI+E, or PITIE, allowing borrowers to shift dollars from the E to the P and the I. Lenders should recognize this as an opportunity to increase borrowing as well as the fees they charge. In the end, it’s a win/win situation. The federal government establishes lending standards for loans sold to the secondary market. This means that organizations, such as Freddie Mac or Fannie Mae, purchase mortgages so that loan originators can lend the money to others. Only loans that conform to federal standards are purchased, so they have a powerful influence over the market. The U.S. Senate has been trying to pass a law to include energy considerations in mortgage standards for several years, without success. Although most lenders package their mortgage loans for the secondary market, some hold the loans themselves. Many of these are local banks and credit unions. If you want more flexible underwriting rules, shop around for a lender that holds the mortgage themselves and understands this issue. While these energy issues should be an integral part of the home financing process, there are a couple of special programs that aim to fill the void. Some communities offer Property Assessed Clean Energy programs also called PACE loans. Fannie Mae supports energy improvements for new and existing homes with a program called HomeStyle Energy. Admirals Bank offers up to $40,000.00 in a renewable energy loan for solar collectors, which can be added to a zero energy ready home after construction. Some buyers don’t need bank financing. Many older buyers who downsize use their equity to pay the entire cost. 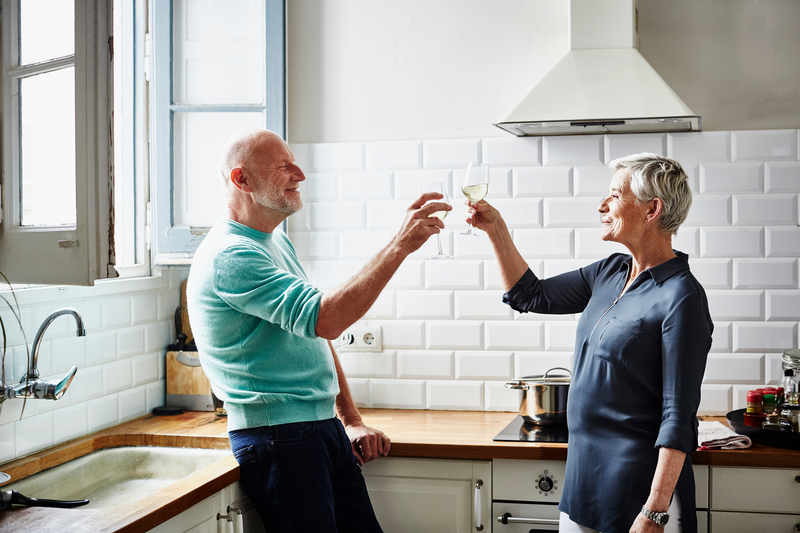 While capital isn’t a problem, retirees often see their “fixed income” status as a reason to pass on energy improvements. That’s a missed opportunity. Cash buyers can see very safe returns on their energy investments. Many retirees place at least some of their funds in certificates of deposit (CDs) and U.S. Treasury Bonds because there is almost no risk. The return on 10-year CDs is around 1 to 2% and the return on 10-year treasuries is around 2%. Instead of parking $38,000 in a CD or Treasury Bond or risking it in the stock market, you could invest that money in your home to eliminate energy purchases for the rest of your life and add to the resale value of your home if you sell it. That’s savings of approximately $183 per month or $2,196 per year. The yearly return on investment from that $38,000 would be 5.7% per year. If energy prices go up as they are likely to, your return will be even higher. In other words, your return is inflation protected. And in many cases, your $38,000 investment is further enhanced by tax credits and rebates which will increase the rate of return on your investment. Well-planned energy efficiency features almost always pay for themselves. While there are several financing mechanisms to support this kind of investment, they are still outside the mainstream. The burden is on the buyer to pursue them. Energy improvements need to become an essential part of real estate transactions. The benefits accrue to everyone involved, including buyers, sellers, brokers, lenders, contractors and equipment suppliers. Everyone wins when homes are energy efficient.